Welcome to One Infinite Light, Inc. The mission of One Infinite Light, Inc. is dedicated to helping others find a deeper knowledge and understanding of God's true nature that will transform and heal lives, create a more passionate, joyous human experience and find expression in a sincere, heartfelt outreach to improve our world. One Infinite Light, Inc. was incorporated in 2012. Its primary function is to serve as the umbrella for all outreach efforts associated with its mission as stated above. 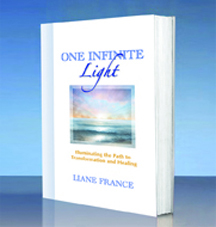 The first step of that process is the publication of author and metaphysician Liane France’s seminal work, and the backbone of the corporation, One Infinite Light. Published through our imprint division, Infinite Light Press, it is available at major online retailers. Infinite Light Press, the publishing arm of the corporation, plans to produce print and eBooks on a variety of topics that support the Corporation's goals. While mainly devoted to spiritual and metaphysical subjects, other books that provide innovative ideas and useful information that moves the objectives of One Infinite Light, Inc. forward will be considered. If you have questions, please click on the link at right to take you to the Infinite Light Press website. As our reading community grows, we will hold seminars in key locations, or provide online courses, that are designed to take our seekers to the next step in the personal application of the principles learned in One Infinite Light. 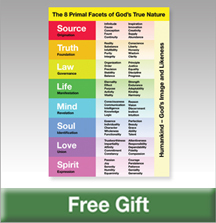 Attendees will learn how to more fully understand the expression of each of the 8 primal facets of God's true nature as they apply them to their individual human experiences. For seekers who have found the answers to their deepest spiritual yearnings in the book, One Infinite Light, and want to increase their usefulness and blessing for our world, we will hold 3-day workshops in select locations. Using the basic principles learned in the book, attendees will craft a personal plan of outreach to fulfill their human purpose and become a more complete blessing for their communities and the world.